Leveraging on Italian excellence in cultural heritage and artistic production, the program will strengthen your cultural background as well as your professional skills, which will allow your career to flourish. Partners and collaborating institutions share MAMA's mission: supporting and innovating the arts through the development of specific and art-respectful managerial skills. Main partners meet MAMA's participants during visits to their facilities, during seminars with their own practitioners and managers, through assigned field projects and have the opportunity to select MAMA participants for internships. MAMA is organized with the support of Altagamma, an association of internationally renowned Italian companies operating in the high end of the market. MAMA has many Italian and International collaborating institutions that offer field projects to our partecipants. You are passionate about arts and culture. You want a career as a professional, manager, consultant or entrepreneur in arts and cultural fields. You want to improve your managerial expertise in one of Europe’s leading Schools of Management. You want to learn about the Italian and European artistic traditions and how they are supported and developed. Solid foundations in management, including practical, creative and professional skills. Specific knowledge to operate successfully in the arts and culture sector. Direct contact with top Italian and International arts organizations and their leaders, who are often guest speakers in the program. A stimulating environment, focusing on an international market with a multidisciplinary approach. A dedicated arts management faculty, who has close ties with the arts world and the arts management community. The MAMA Grand Tour, taking you out of Milan to experience world-famous centers of Italian culture. MAMA Internships – a chance to work for one of MAMA’s main partners or collaborating institutions. SDA Bocconi has formed several prestigious partnerships with leading arts and cultural institutions, which will not only lend their expertise and offer students valuable opportunities, but will also ensure that participants emerge with skills highly valued by the industry. The MAMA Community of Practice will act as a reference point for the industry, bringing together practitioners from sponsoring companies and collaborating institutions with students and alumni for annual meetings on topics in arts management and to share best practices. We designed this master to educate talented people with a passion for arts and to develop the managerial culture needed for the arts industry to achieve its desired level of excellence. In the modern world, there are numerous tensions and trade-offs between ensuring the artistic integrity and the economic viability of arts organizations. The increasingly complex nature of these problems requires a specifically tailored managerial approach, which will have a fascinating cultural impact. The program is aimed at young professionals, typically humanities graduates, who are already working in the arts and culture sector. They may have junior or middle management level positions in public sector and non-profit arts organizations, be involved in the organization of festivals or other cultural events, work for consulting firms dedicated to the arts, or be professionals (e.g. artists, lawyers, consultants) who want to transition to management positions in the arts and culture sector. MAMA intends to advance your professional development, giving you a specialized managerial background and an entrepreneurial outlook, which will enable you to fill crucial positions in a wide range of organizations operating in the arts sector. Milano, Italy As a future manager in the world of arts and culture, Milano gives you exposure to a thriving and globally famous cultural environment, as well as being the perfect base to explore a country that has had a vast influence on art throughout its long and significant history. Whether the specific excellence of celebrated venues such as Teatro alla Scala in Milan, leading cultural festivals such as La Biennale di Venezia, or the many illustrious works of art to be found on a Grand Tour of Italy, each offers their own valuable lessons in the management and administration of arts. Immersing yourself in these experiences, with expert guidance and support from MAMA’s faculty, partners and guest speakers, will be exceptionally rewarding personally and professionally. SDA Bocconi School of Management is part of Universit� Bocconi, the first Italian University to grant a degree in economics. For over a century, Bocconi has played a leading role in Italy’s social and economic modernization. 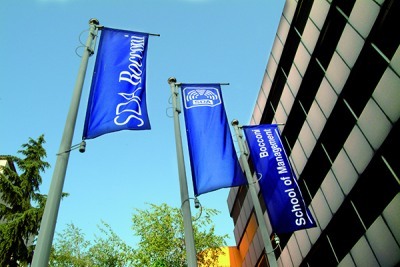 The leading School of Management in Italy and the only Italian School on the top of the charts of all main International Rankings, SDA Bocconi has established itself as a European leader in higher education.